Experts say that intense exercise could be detrimental for patients with inflammatory bowel disease. In vestigators found that with increasing intensity and duration of exercise, there was a proportional increased risk of gut damage and impaired gut function. 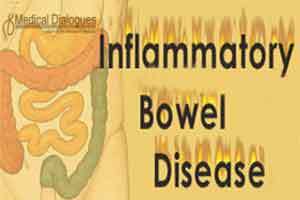 Specifically, the cells of the intestine are injured and the gut becomes more leaky, allowing pathogenic endotoxins normally present and isolated to the intestine to pass into the bloodstream. This scenario of ‘exercise-induced gastrointestinal syndrome’ may lead to acute or chronic health complications. Exercise stress of 2 hours at 60% VO2max appeared to be the threshold whereby significant gut disturbances arise, irrespective of an individual’s fitness status. Running and exercising in hot ambient temperatures appear to exacerbate the gut disturbances. The review also found that for patients who have irritable bowel syndrome or inflammatory bowel disease, low to moderate physical activity may be beneficial. The health implications of more strenuous exercise has not been researched, but is likely to be detrimental for such patients.There is evidence for health benefits of moderate exercise in patients with inflammatory bowel disease or functional gastrointestinal disorders, the safety of more strenuous exercise has not been established, but could be hypothetically detrimental.